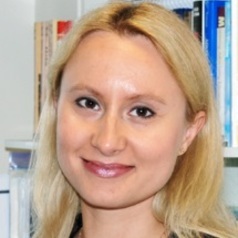 Dr Magdalena Zawisza is a Reader in Consumer & Gender Psychology at Anglia Ruskin University, Cambridge and obtained her PhD from Royal Holloway, University of London. She researches social (including gender) issues surrounding advertising, brand image and consumer behaviour as well as implicit and explicit stereotyping, attitudes and prejudice - including changes of (gender) attitudes and stereotypes over time and across cultures. She is a co-editor of The Routledge International Handbook of Consumer Psychology and an editor of MediaMatters Facebook page. She employs her expertise in her Research Consultancy Insights Brand, Advertising & Society. Her research is highly relevant to advertisers, marketers, private and government bodies as well as charitable organisations concerned with responsible advertising, diversity and equality. She has been a Principal Investigator or co-investigator on international and national grants totalling over £350K.